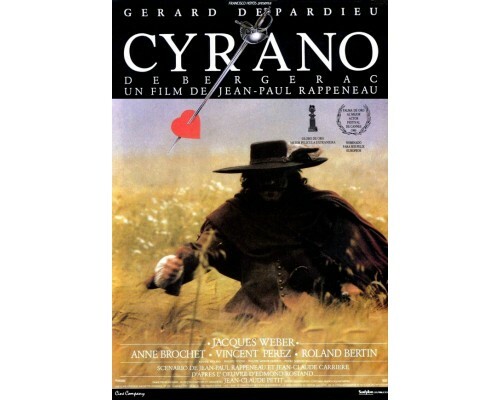 Amidst the majesty of 17th century France, gallant swordsman and lonely poet Cyrano (Depardieu) admires the beautiful Roxane (Anne Brochet) from afar. Hiding behind an excessively long nose, Cyrano feels he could never be worthy of such an exquisite woman…let alone tell her how he feels. But as fate would have it, he finds an opportunity to express himself by writing love poems to her on behalf of his friend Christian (Vincent Perez), an attractive young cadet who also longs for her. 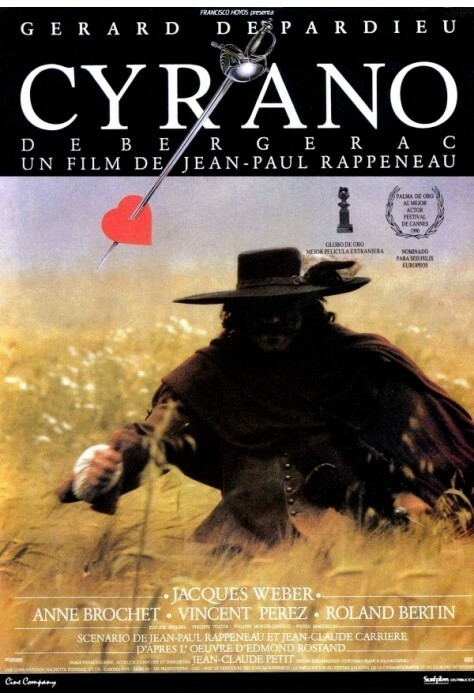 But with each soul-stirring letter that builds a romance he will never know, Cyrano continues to dream: will Roxane ever learn the truth behind the deep-felt words…or will it forever remain a secret? 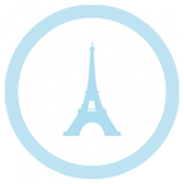 1990, 138 minutes, MPAA rating: PG, DVD in French with optional English subtitles.